We get a lot of questions on how to use the ORP meter, so for the SM500 or MW500 ORP meter, which is our most popular unit, we decided to answer some questions. Does this mean that by putting the probe of the Milwaukee SM500 ORP meter in the Redux solution that it should read between +200mV and +275mV? and this will validate that the meter is working correctly? 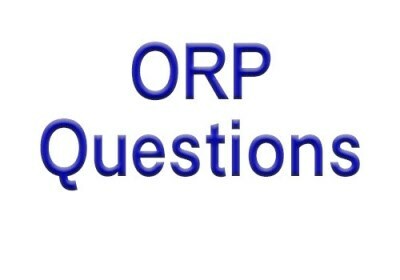 How much of the ORP probe should be immersed and for how long? Do you read it immediately after the probe is immersed? Does the Redux solution has to be poured into a glass container or can we immerse the probe in the same bottle that the solution comes in? Does the Milwaukee meter have to be TURNED ON when you immerse it Freshwater or Saltwater for testing or do you TURN IT ON after it is immersed? After it is taken out of the Redux solution do you rinse it and how/with what (Tap water, bottle water)? After the probe is out of the Redux solution, how long do we wait to do readings of the water? Answer: Rinse well as specified above and then go to the solution you want to take a reading on. Be sure to "Gently" stir the prob in the solution you are reading. NOTE: There are several other issues when it comes to using the SM500 ORP meter by Milwaukee instruments for checking negative numbers below -50mV not covered above.